Dubai, United Arab Emirates, 09 July 2018: Emirates Transport, one of the largest transportation and logistics services companies in the Middle East, will implement Oracle Cloud Applications to drive a major digital transformation across all its core business operations. The initiative will help Emirates Transport introduce innovative offerings that create new revenue streams, deliver exceptional customer service and drive operational efficiency. “We selected Oracle to support our transformation into a service focused company and to help establish Emirates Transport as the preferred transportation and logistics partner for the UAE’s public and private sector. This is our first step towards implementing a more elaborate digital transformation roadmap which in due course will also explore the implementation of next gen technologies like Artificial Intelligence and Internet of Things (IoT) to help us drive long term growth”, added Tawakul. With Oracle Cloud Applications, the Emirates Transport leadership team will be able to take advantage of a complete and fully integrated suite of applications to increase business agility and reduce costs. The new cloud applications will provide Emirates Transport with full financial control, simplifying procurement processes and allowing the management to make data driven investment and business decisions. The Emirates Transport management team will also be able to run simulations for new services and programs to ensure an exceptional customer experience and high employee engagement. 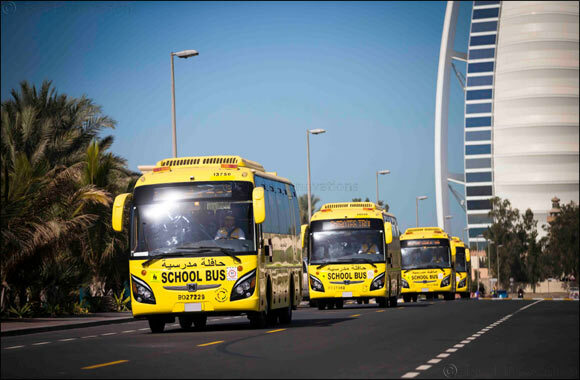 “With more than a three decade experience in the UAE, Emirates Transport is a true market leader and a key enabler for the country’s economic progress. Emirates Transport is now embarking on its next growth phase and its decision to select Oracle to support its digital transformation initiative will help the organisation achieve its strategic business objectives”, said Arun Khehar, senior vice president, Business Applications, ECEMEA, Oracle. “We are confident that the deployment of Oracle Cloud Applications will help Emirates Transport deliver value for all stakeholders and create the differentiation needed to achieve market leadership”.